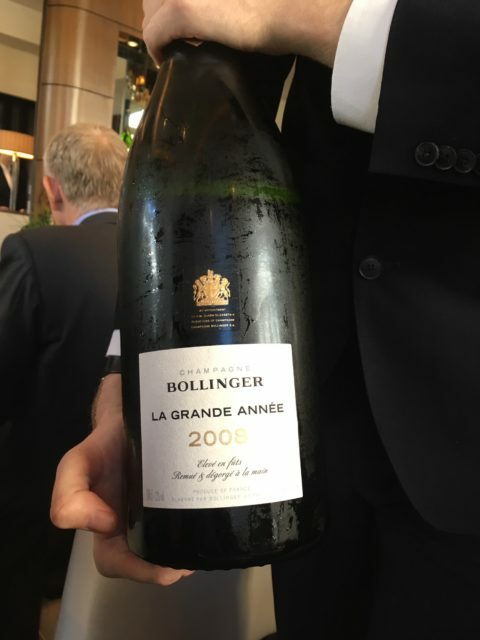 Such has been the demand for bottles of the recently launched Bollinger La Grande Année 2008, Mentzendorff, the Champagne house’s UK agent, has “pressed pause” on the release of magnums and Jeroboams of the fizz. “We’re pressing pause on the release of magnums of Jeroboams of La Grande Année 2008 for a while – it could be weeks or months. “The stock has been disgorged and we’re looking at ways to best manage it. The magnums and Jeroboams have been pre-sold to clients through major fine wine merchants. “Bollinger used to keep its magnums and Jeroboams on the lees in its cellar for longer than its 75cl bottles, but the fine wine market has changed and the noise is there for a wine when it’s released, so we don’t want to miss the moment. “We’re trying to find a way to strike a balance between capitalising on the buzz around the launch and releasing the larger formats when they’re ready. Hawes described the release of La Grande Année 2008 as an “unprecedented success”. “We’ve had enormous interest and demand has far exceeded supply. I find the 2008 vintage of La Grande Année more approachable than 2002. It has the signature Bollinger power and structure and is open and well balanced,” he said. As for the perception of prestige cuvées among serious fine wine collectors, Hawes believes the best are now taken seriously as fine wines. “The interest in prestige cuvée Champagne as a fine wine began with the 2002 vintage and the wines have since been increasingly desired by collectors to be aged and resold, which the market has not historically been accustomed to.